Enjoy a visit to Madame Tussauds Amsterdam located in the city center. 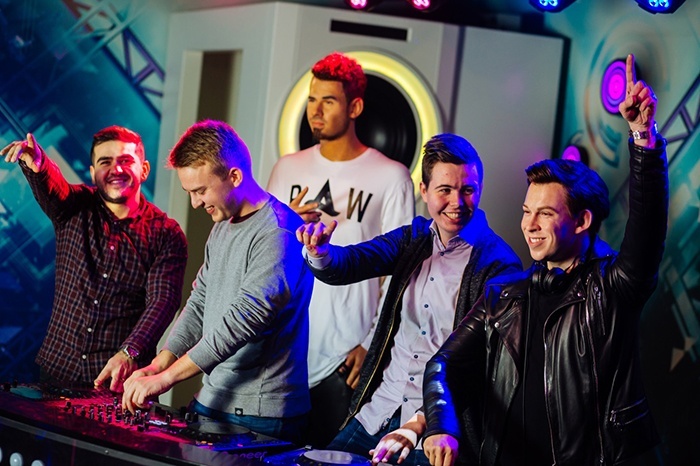 Explore different areas and themes at Madame Tussauds Amsterdam including Film, Music, Marvel, Art, Fashion, A-listers, Sport, DJs and Royals. At Madame Tussauds Amsterdam you can sparkle among the stars. Right in the heart of Amsterdam you can drink a cup of coffee with George Clooney, get your picture taken with members of the Dutch royal family and pick up your paintbrush alongside world-famous artists such as Van Gogh and Rembrandt. Are you dreaming about a career as a real TV-host? Discover your presentation skills at our newest TV studio by reading the autocue. Or is music more your thing? Then how about recording a duet with Adele in our recording studio, or joining DJs Afrojack , Armin van Buuren, Tiësto, Hardwell of Martin Garrix in our DJ booth. Immerse yourself into our amazing interactive world. You’ll never see as many stars in Amsterdam as at Madame Tussauds Amsterdam.